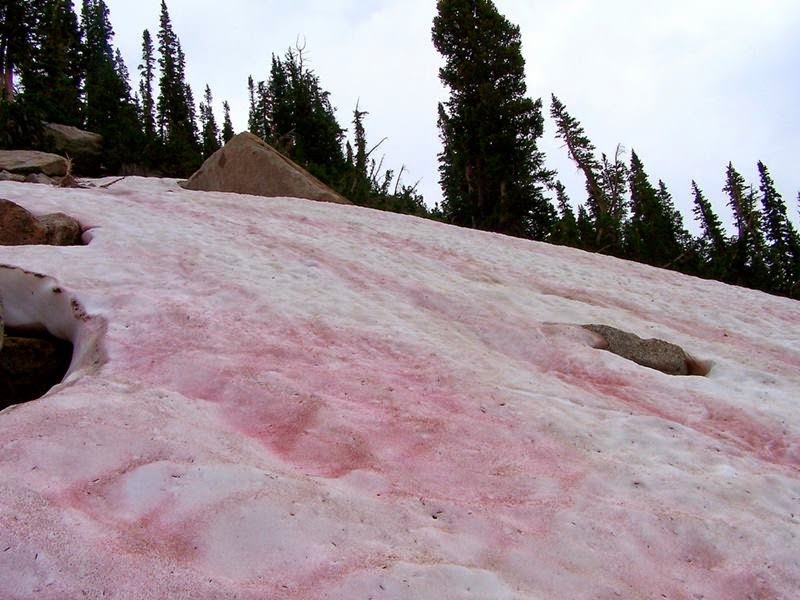 Watermelon snow, also called snow algae, red snow, or blood snow, is Chlamydomonas nivalis. 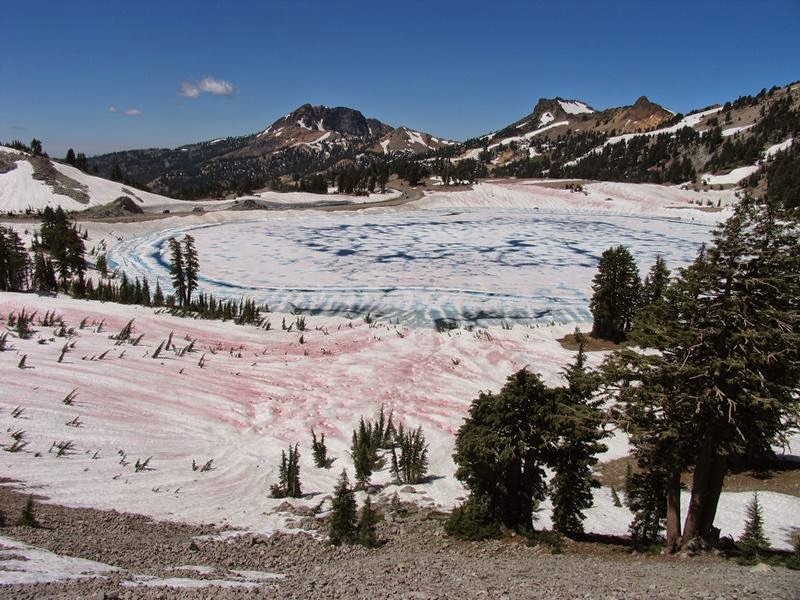 according to the majority of people can only be in a fairy tale or a colorful dreams, but this assertion is refuted in the Sierra Nevada Mountains, which are located in California. 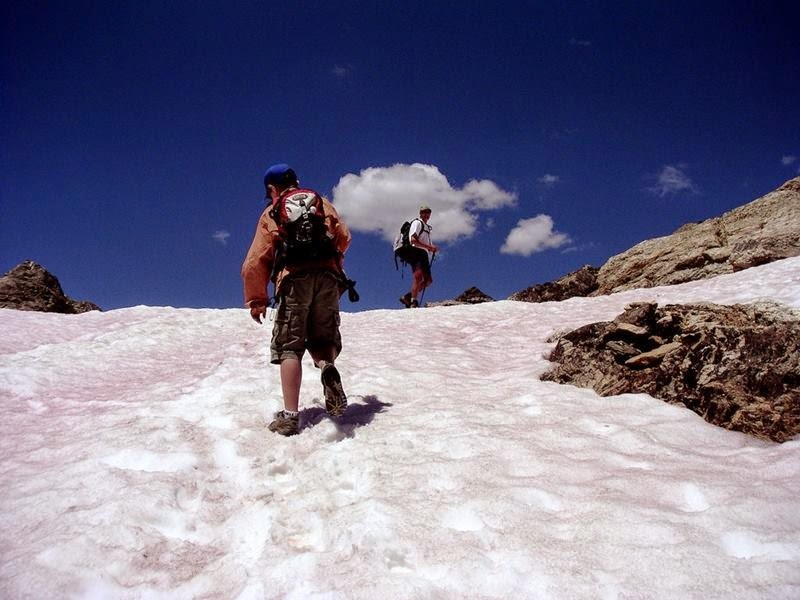 On this mountain range at an altitude of three thousand meters above sea level stretches fabulous snowfields red. 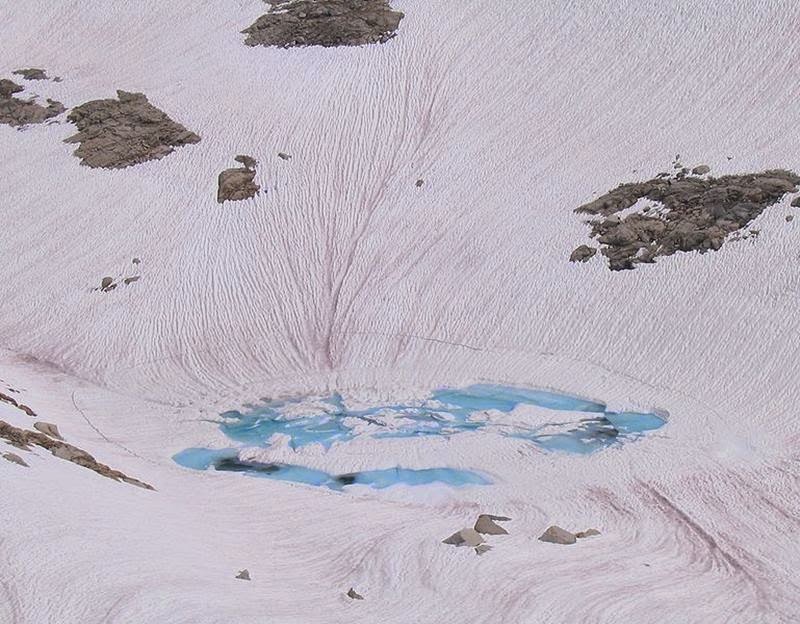 Here, at altitudes of 10,000 to 12,000 feet (3,000–3,600 m), the temperature is cold throughout the year, and so the snow has lingered from winter storms. 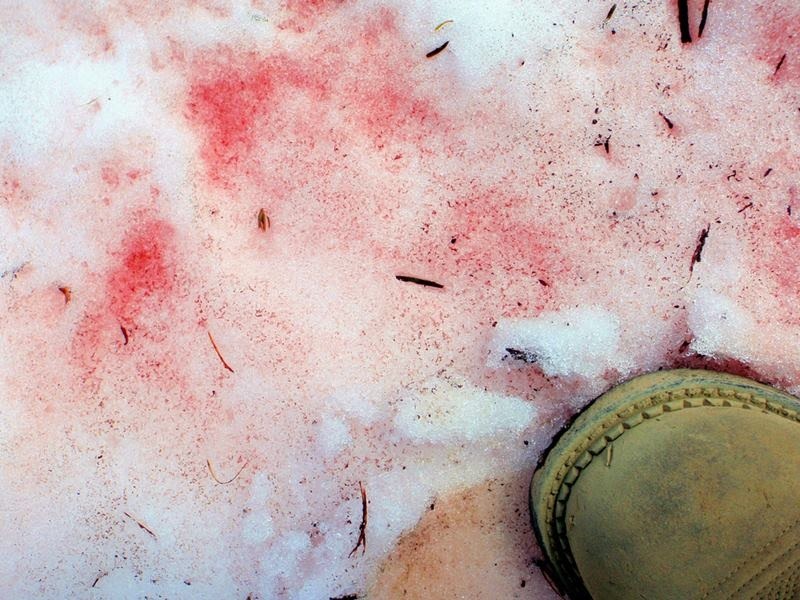 Compressing the snow by stepping on it or making snowballs leaves it looking red. 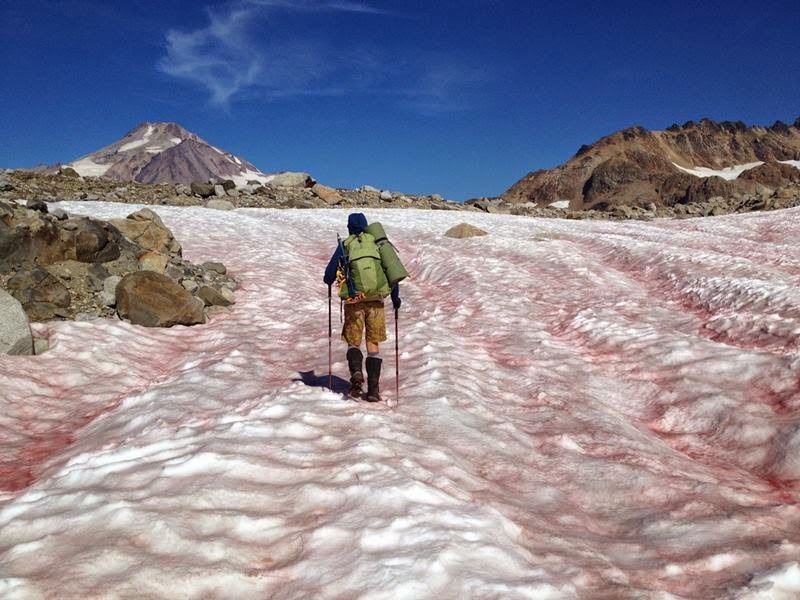 Walking on watermelon snow often results in getting bright red soles and pinkish pant cuffs. 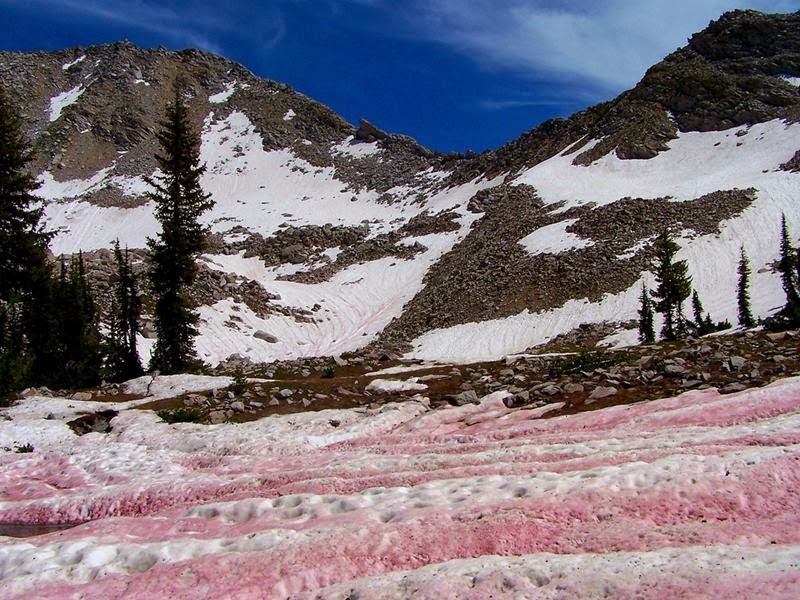 The first accounts of watermelon snow are in the writings of Aristotle. 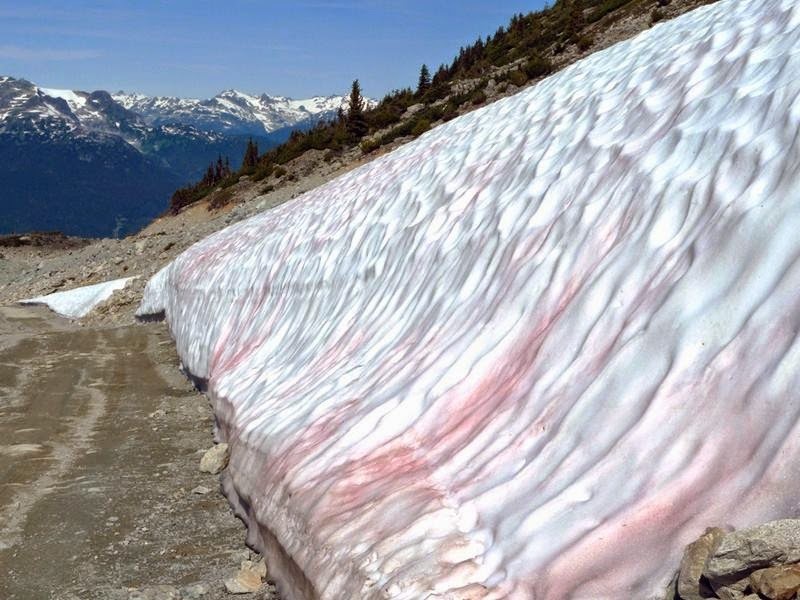 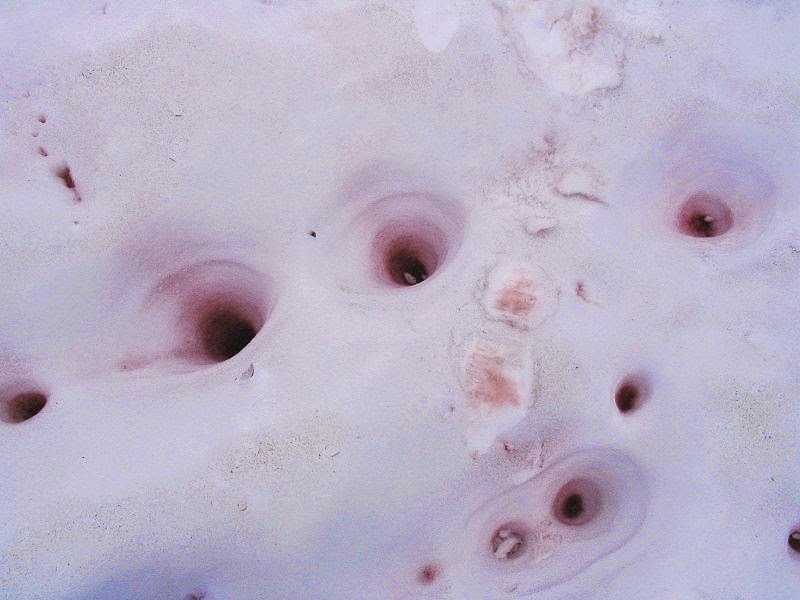 Watermelon snow has puzzled mountain climbers, explorers, and naturalists for thousands of years, some speculating that it was caused by mineral deposits or oxidation products that were leached from rocks.